The top 10 junior hockey nations will face off between Dec. 26 and Jan. 5, with Group A playing its games at Vancouver’s Rogers Arena and Victoria’s Save-On-Foods Memorial Centre hosting Group B matches. Best finish: 17-time gold medallists. Last year: Beat Sweden for gold. Player to watch: Forward Alexis Lafreniere — He will become the first 17-year-old to play for Canada at the tournament since Connor McDavid after being selected by head coach Tim Hunter because ” he doesn’t play like a young player.” He’s already being talked about as a potential No. 1 pick for the 2020 NHL draft. 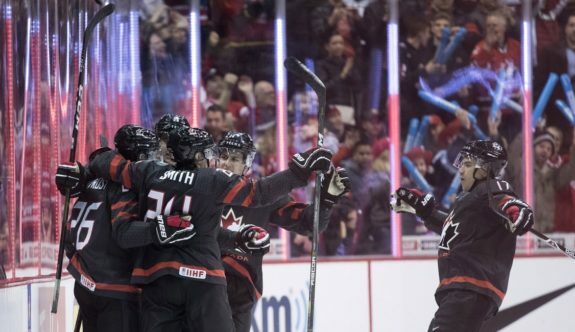 The Skinny: After an injury to forward Alex Formenton in selection camp, the Canadian squad is left with just one player (Max Comtois) returning from last year’s gold-medal winning squad. Canada’s roster is heavy in Canadian Hockey League talent, with just forward Shane Bowers (Boston University) and defenceman Ian Mitchell (Denver University) playing elsewhere. Best finish: Two-time gold medallists. Last year: Lost in bronze-medal game against the United States. 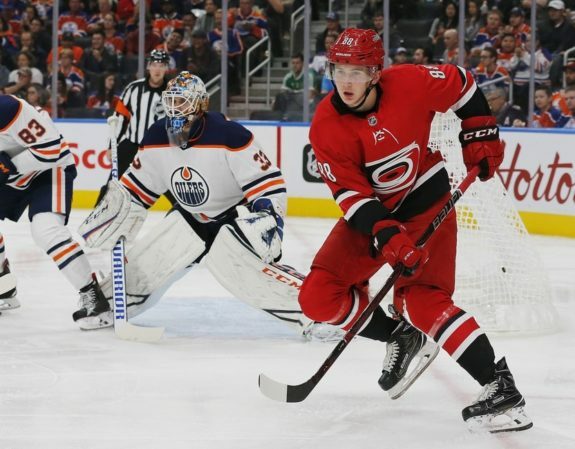 Player to watch: Forward Martin Necas — The 19-year-old is a veteran at the event as he gets set to participate for the third time. Last year he tied for the tournament lead in scoring with 11 points in seven games, and has transitioned his game this year to North America. The 12th pick from the 2017 draft started with Carolina and is currently with its AHL affiliate in Charlotte. The Skinny: The Czechs were a young team last year and have up to nine players returning with world junior experience under their belts. It’s been 13 tournaments without any type of hardware as the Czechs haven’t reached the podium since a bronze medal in 2005. Prognosis: Could surprise in the semifinals for the second straight tournament. Best finish: Four-time gold medallists. Player to watch: Forward Klim Kostin — The 19-year-old St. Louis Blues prospect produced five goals and eight points in five games at last year’s tournament, but went home disappointed. He’s averaged a point per game at every international level he’s played at and is currently being developed in the AHL. The Skinny: The Russians waited right until the last minute to confirm their final roster and were expected to be heavy in their own talent with a large majority coming from the KHL. Kostin could be the only returning player as well with a high turnover. Last year was the first tournament since 2010 that Russia went home without a medal. Its last gold was in 2011. Best finish: Fourth place in 2010 and 2002. Player to watch: Forward Philipp Kurashev — The 19-year-old Chicago Blackhawks prospect is back in the tournament for a second time and the Swiss will be hoping he can help lead the offence. He has spent the past three seasons with the QMJHL’s Quebec Remparts and has 43 points in 33 games this year. The Skinny: The Swiss have struggled in recent years at the event since last playing for a medal in 2010 and will need a combination of things to go right to qualify for the quarterfinals. Their roster is a blend of pros playing in Switzerland, as well as some juniors who have made their way to the CHL, including forward Nando Eggenberger of the OHL’s Oshawa Generals. Prognosis: Could find itself playing in the relegation round if it can’t get past Denmark in the group stage. Best finish: Fifth place in 2017. 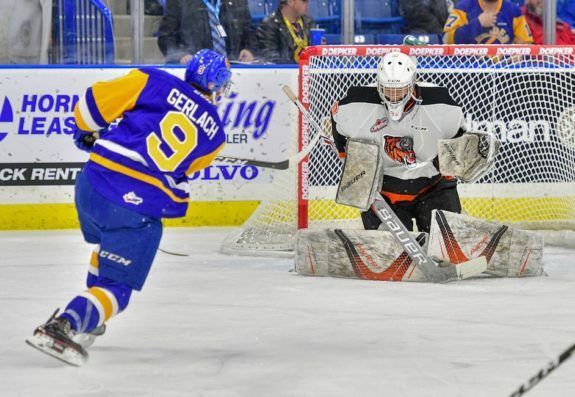 Player to watch: Goaltender Mads Sogaard — The draft-eligible 18-year-old has had a strong year with the Medicine Hat Tigers of the WHL and will be needed by the Danes to steal a game or two. He was part of last year’s squad as the third-string netminder, picking up some experience ahead of his chance to shine. The Skinny: The Danes went winless in the preliminary round to end up in the relegation round last year and had to beat Belarus to avoid demotion to Division 1A. Denmark’s leading scorer from 2018, Jonas Rondbjerg, returns to help try to pace the offence, while forward Phillip Schultz, who plays for the WHL’s Victoria Royals, is back for a second time. Prognosis: Could be back in the relegation round if it doesn’t earn at least one victory in round-robin. Last year: Beat the Czech Republic for bronze. Player to watch: Forward Jack Hughes — The 17-year-old is already considered a difference maker and is ranked to go as the No. 1 pick in the upcoming NHL draft. He’s the younger brother of U.S. teammate Quinn Hughes and spent the majority of his youth hockey in the Toronto area while his father Jim worked for the Maple Leafs before switching to the U.S. development program. The Skinny: The Americans have 20 players on their 23-man roster that were drafted by an NHL club with one more (goalie Kyle Keyser) who signed with Boston as a free agent. The majority of the squad is made up of NCAA players or U.S. development team skaters except for three who are currently in the OHL (Keyser, forwards Jason Robertson and Sasha Chmelevski). Prognosis: Contender for a gold medal. Last year: Lost to Canada in gold-medal game. Player to watch: Defenceman Erik Brannstrom — The 19-year-old has put together a strong first half of the season in the American Hockey League despite being one of the few teenagers eligible to play. The 15th pick from the 2017 NHL draft (Vegas) is a returnee and had four points in seven games at last year’s tournament. The Skinny: The Swedes never seem to be short on blue line talent and this year’s squad is no different even with Timothy Liljegren ruled out with an injury. Defencemen Rasmus Sandin (AHL) and Adam Boqvist (OHL) bring some North American experience on the back end, while Isac Lundestrom is the only player on the roster with any NHL time, playing 15 games with Anaheim to start the year. Player to watch: Forward Kaapo Kakko — The 17-year-old forward is projected as a top pick for the upcoming NHL draft, with some scouts having him ranked No. 2 behind Jack Hughes. He’s playing this season in the top pro league in Finland and has shown he isn’t afraid to be physical to make plays happen. The Skinny: The Finns have struggled since winning it all in 2016 and even had to play in the relegation round in 2017, with a victory over Latvia keeping Finland from being demoted. But they got a late boost to their roster with defenceman Henri Jokiharju being loaned from the Chicago Blackhawks. Forward Eeli Tolvanen, who is playing in the AHL, is also back for a third appearance. Prognosis: Will need a big performance, but has the skill to reach the semifinals. Best finish: Two-time bronze medallists. 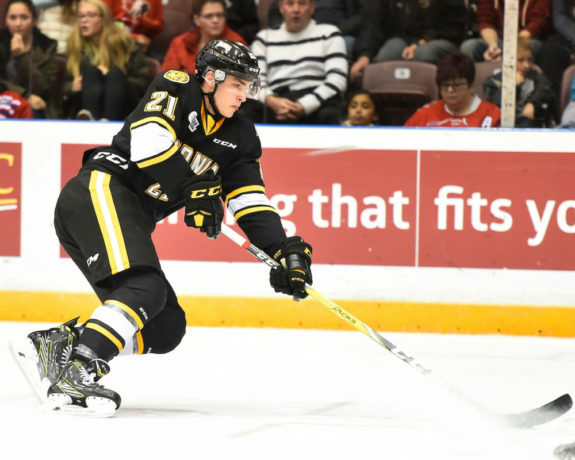 Player to watch: Forward Adam Ruzicka — The Calgary Flames draft pick from 2017 is back for a third time and expectations to produce offence have never been higher for the 19-year-old. He scored 36 goals last season with the OHL’s Sarnia Sting and is on pace this year for his second straight season of 70-plus points. The Skinny: The Slovaks have bowed out in the quarterfinals in each of the last three tournaments after winning bronze in 2015, and will have their work cut out for them again this time around. Slovakia’s roster will have up to eight returning players alongside Ruzicka, including Milos Roman of the WHL’s Vancouver Giants, who will also become a three-time participant. Prognosis: Will have difficulty making it through the quarterfinals. Best finish: Seventh place in 1999. Last year: Won Division 1A tournament to earn promotion to the top division. Player to watch: Artur Gatiyatov, who was named the best forward of the U20 Division 1A tournament as an 18-year-old with four goals and three assists in five games, currently plays for junior club Snezhnye Barsy — a feeder team for the KHL’s Barys Astana — in his home country. The Skinny: Kazakhstan is in the elite group for the first time since 2009, a tournament where it lost all four of its round-robin games and was outscored 46-2 to get relegated down a division. Five different countries have won gold at the worlds since Kazakhstan last appeared. The Kazakhs did, however, beat Canada for seventh place in the 1999 tournament for their biggest win ever at the event. Prognosis: Any victory would be considered an upset.